Royal Blue & White Double Tied Graduation Cords- Contents and Description Two Graduation Honor Cords tied together; choose two different colors or mix with multicolored honor cords. 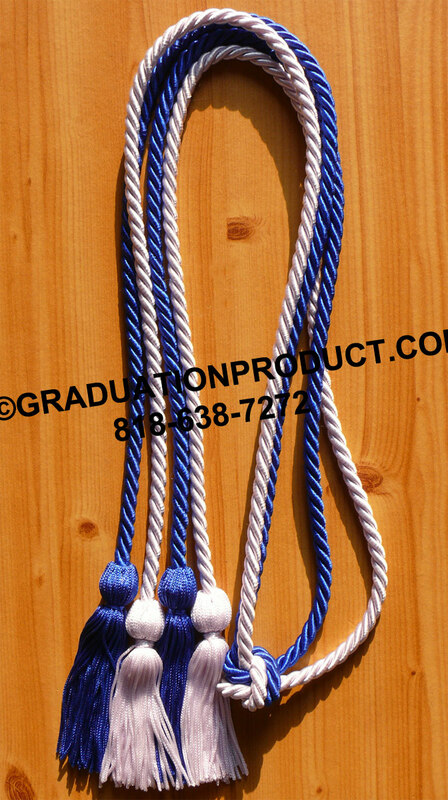 Customer Reviews on "Royal Blue & White Double Tied Graduation Cords"
Very prompt and cord colors perfect! Lowest price and the best quality. I would use them again if needed today! Write you own review on "Royal Blue & White Double Tied Graduation Cords"